Mahendra Singh Dhoni said fitness was more important than youth as he celebrated winning the Indian Premier League at the age of 36 — and looked increasingly good for a fourth World Cup next year. Dhoni’s Chennai Super Kings drew criticism for picking ageing warriors in the IPL auction, but the 30-somethings easily triumphed over Sunrisers Hyderabad in Sunday’s final. Shane Watson’s unbeaten 117, laden with eight sixes, and Dhoni’s tactical nous were more than a match for the Sunrisers’ spin wonderkid Rashid Khan, 19, and big-hitting captain Kane Williamson, 27. Both Dhoni and Watson will be celebrating their 37th birthdays in the next six weeks, making them the oldest of nine 30-plus players in Chennai’s 24-man squad that swept aside the Sunrisers by eight wickets. Watson said that he will now need a three-month rest to get over a hamstring injury that had made him question whether he would finish the seven-week IPL season. Dhoni, India’s captain when they won the 2011 World Cup, insisted that “age is just a number” when it comes to winning big trophies. “It is the fitness that really matters more than the age aspect,” he said. “What captains want is players who move well in the field. It doesn’t matter which year a player is born in, whether you are 19 or 20 — you have to be agile,” the wicketkeeper-batsman added. Coming back from a two-year suspension for involvement in corruption, the Super Kings have now equalled the Mumbai Indians in winning the world’s wealthiest cricket tournament for a third time since it started in 2008. Dhoni captained Rising Pune Supergiant in 2016 and 2017 before re-uniting with Chennai. While he did not make any announcement over his future, Dhoni is known to want at least one more IPL campaign to stay in contention for India’s team for next year’s World Cup. Coach Stephen Fleming, who has stayed with Dhoni through his Twenty20 journey at Chennai, Pune and back again, said his team had answered critics who questioned whether they were too old. “I think we dealt with a lot of adversity really calmly and that comes with leadership,” Fleming said. The former New Zealand captain added: “There was a lot of emotion in the franchise because of what had happened. A lot of desire and the best people to deal with that were men who had experienced it before. Players like Faf du Plessis and Dwayne Bravo, aged 33 and 34 respectively, proved their worth in crunch matches. “We always said experience will get the better of youth,” said Bravo. “Shane Watson batted on one leg, struggling with a hamstring injury, but his experience got him through,” said Bravo. Dhoni’s captaincy gave him bragging rights over his India successor Virat Kohli, whose Royal Challengers Bangalore finished sixth in the eight-team table. Dhoni ended the tournament with 455 runs in 16 matches. 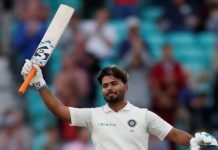 He defied critics who predicted that his ability to finish off games was on the wane, notably producing a 34-ball 70 against Kohli’s Royal Challengers Bangalore — winning the game with a six. Once again, it was his calm demeanour in tense situations that made him stand out — a year after relinquishing India’s limited-overs captaincy to Kohli. Suresh Raina, 31, who shared a crucial 117-run second wicket stand with Watson, praised his partner and Dhoni’s “inspiring captaincy” for Chennai’s triumph.